Here’s a random grouping of dolls. 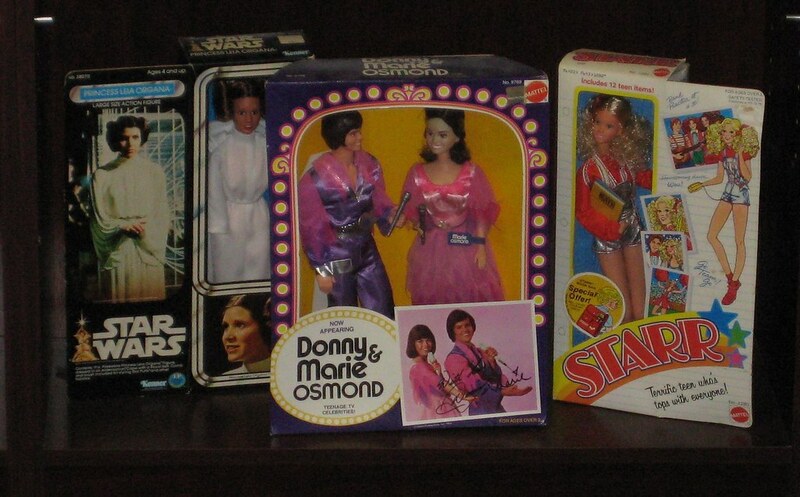 On the left is a nice boxed Kenner Star Wars Princess Leia doll. I don’t know why it was unceremoniously stuffed behind a set of Donny & Marie dolls. WTF Tallahassee Auto Museum?! 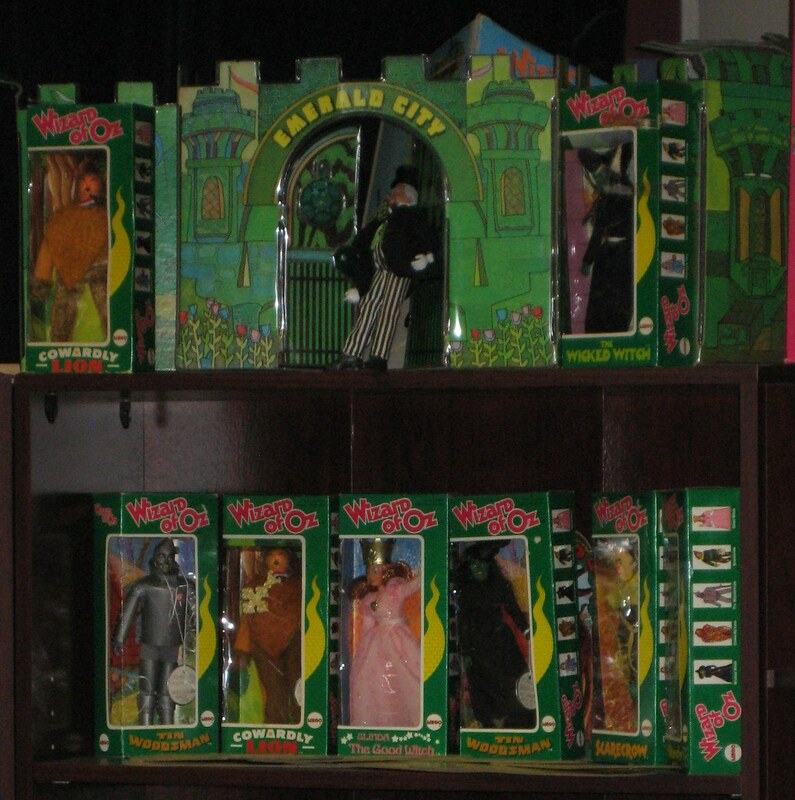 On the right is a Mattel Starr doll which was a teenaged version of Barbie that came out around 1980. 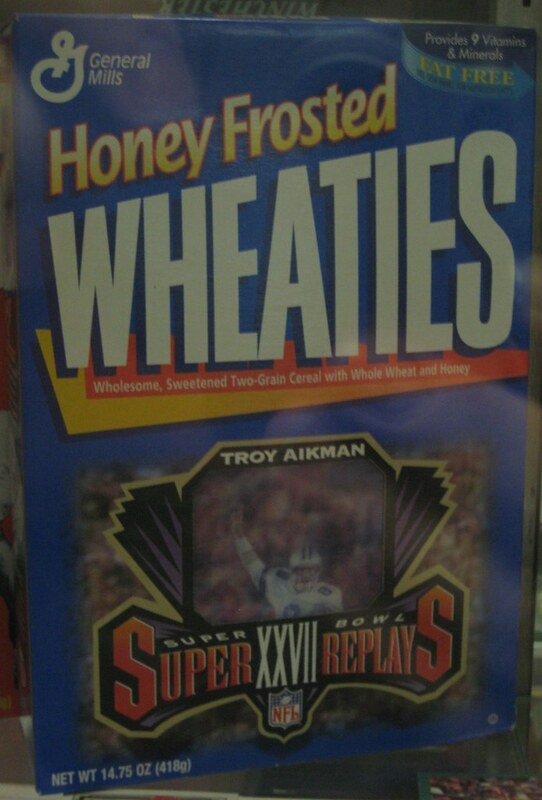 Lots of Wheaties boxes in this museum. Here are two Wheaties variations I hadn’t seen in years. 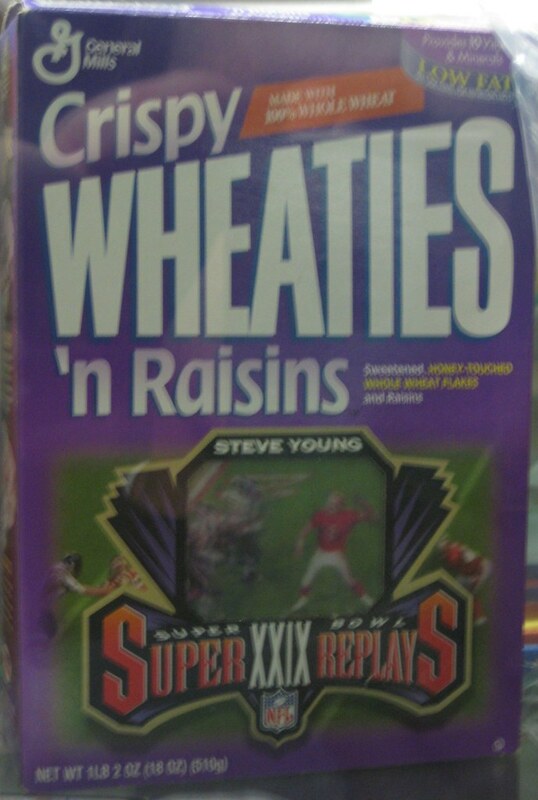 Honey Frosted Wheaties and Crispy Wheaties n Raisins. They both came out around 1996. I’m not entirely sure if they are still around. I haven’t seen them. There was even a cool Wheaties box with a fold out Michael Jordan basketball hoop on the back. See it here. 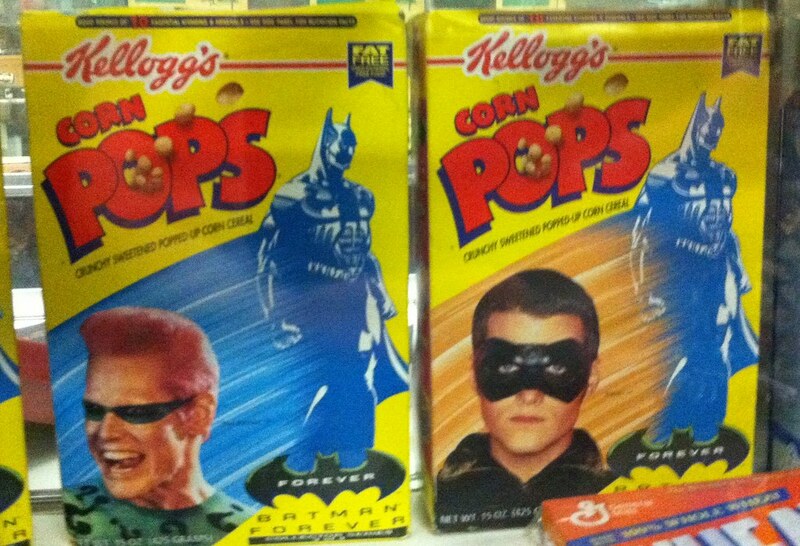 Here are some Corn Pops boxes from 1995 promoting Batman Forever. I love cereal boxes promoting movies, and these are awesomely colorful. Here’s a weird custom Batwing. 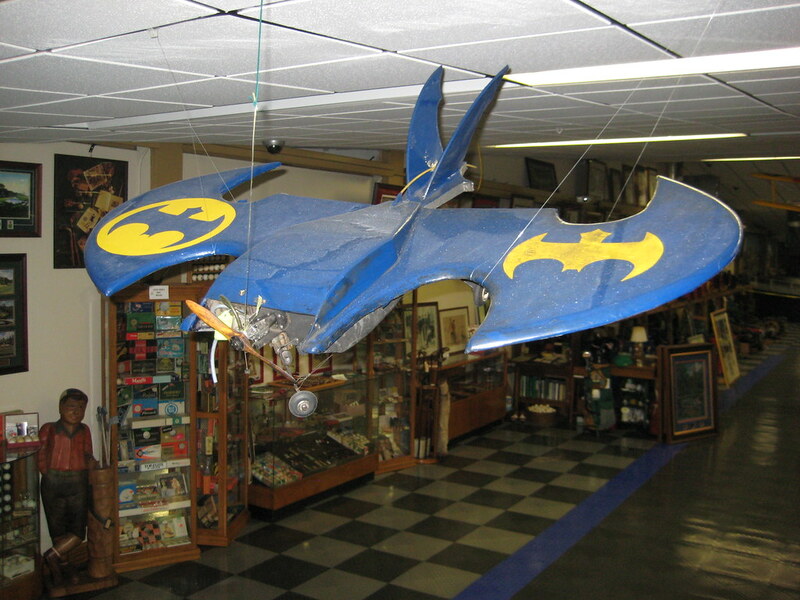 It looks like someone just kitbashed a remote control plane into an odd little Batwing. This was just hanging from the ceiling in the Auto Museum without any rhyme or reason. Or explanation. 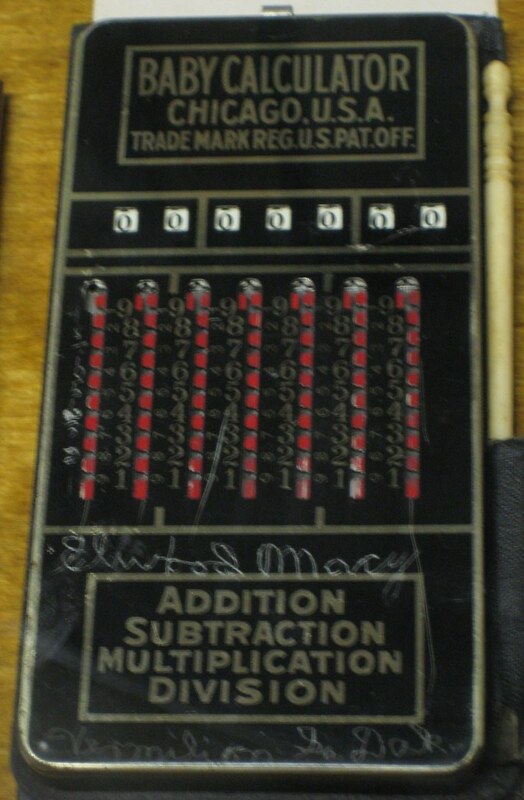 A Baby Calculator. Makes it easy to calculate the number of babies you have. Or maybe it’s for babies to do their math homework. Or maybe Baby is the company name. I don’t know. A sealed box of Skybox USA Dream Team cards circa 1992. I was a huge NBA fan in the 80s – 90s so I was obsessed with the first Dream Team. I had Bird’s USA #7 jersey, the full set of McDonalds collector cups, posters, t-shirts, VHS videos and a bunch of these cards. 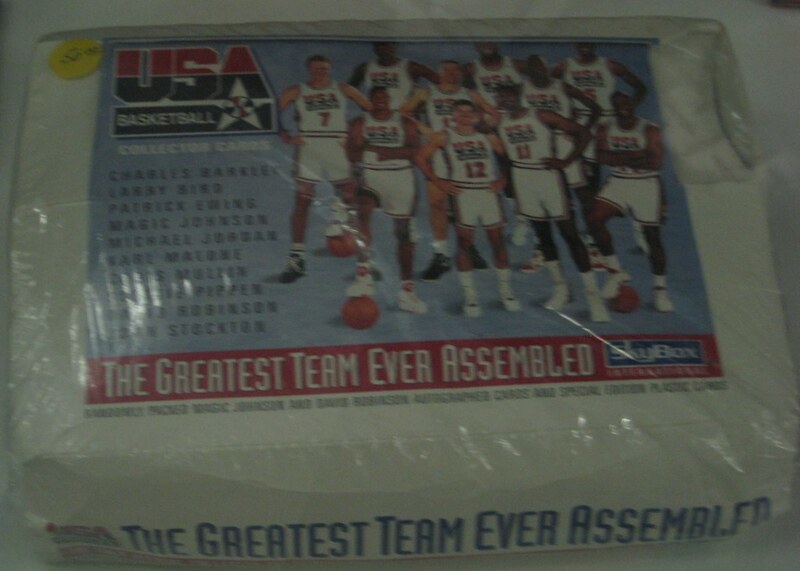 Someday I’ll have to do an article on the ’92 Dream Team merchandise. It was plentiful. 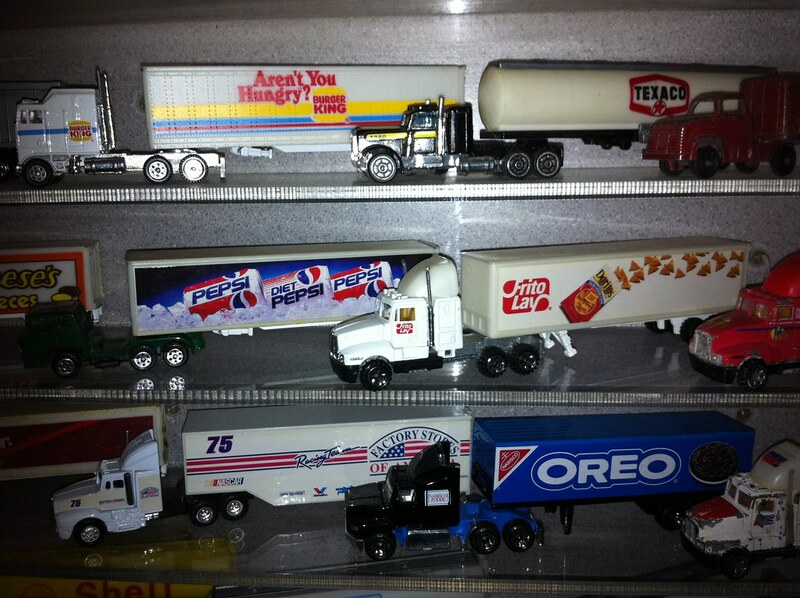 Die-cast trucks with awesome vintage logos on the trailers. I have no idea when these trucks were produced but the logos are vintage 80s-90s. Burger King, Pepsi, Doritos and Texaco logos. Well, that’s about enough for today. There was a whole lot more that I haven’t even told you about. You can see a lot more pictures from this trip to the Tallahassee Auto Museum in my Flickr set here. Tomorrow Carlin will share even more photos from our trip and I’ll be back on Friday to talk about our lunch at KFC and my “Showdown with the Double Down”. Oh, and the Mega Pepsi. Stay tuned. This entry was posted on July 20, 2011 at 8:00 am and is filed under blogging, cars, nostalgia, pop culture, random with tags blogging, pop culture, random. You can follow any responses to this entry through the RSS 2.0 feed. You can skip to the end and leave a response. Pinging is currently not allowed. 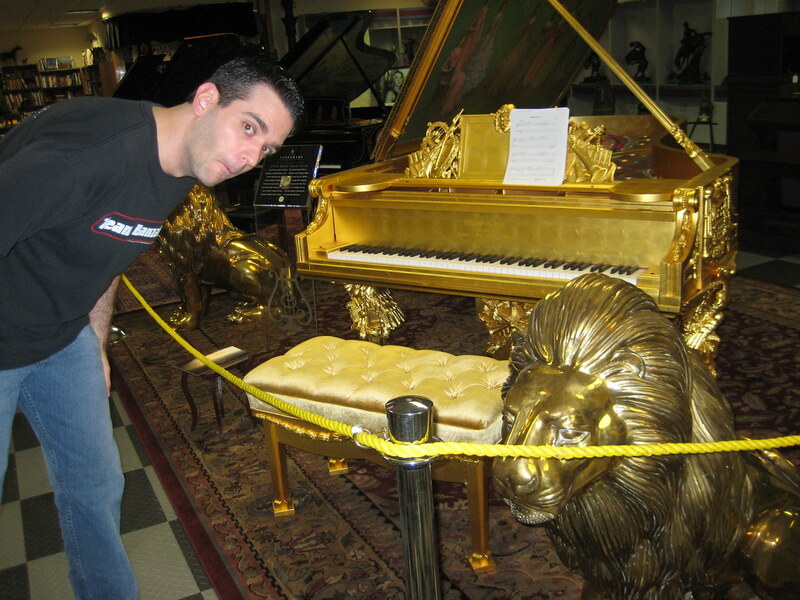 The gold piano is exactly the kind of thing that I would buy if I were massively rich, something traumatic happened to the rest of my family and I went crazy. The organizational part of my brain wanted to go through and overhaul how things were laid out in that museum. That doll section was one of the biggest offenders. It was in a large, roped off room and you couldn’t get anywhere near any of them to look at them. So my picture of the Dolly Parton doll didn’t really turn out that good. Surprised you didn’t call out the boat motors section. I had to drag you away from those, Paxton. Yeah, I was pretty close to having a “boat motors” section in this article but I lost interest in the middle of writing it. I have more pics of the boat motors than I have of the cereal box/gun section. What the hell was I doing? I don’t really even like boats. 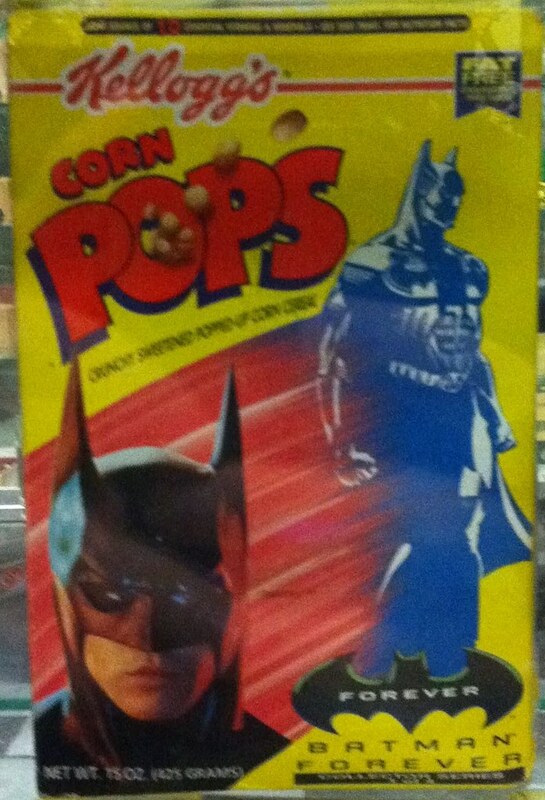 I must own one of those Batman Corn pops box! This has to be the most random museum in the history of museums. Probably funded by our tax dollars, too. Actually, I’m pretty sure this museum does not get any public funding. It’s a private collection all owned by one guy who seems very conservative in his political beliefs. It would probably be a contradiction for him to accept public funding. Looks like they have a nice collection there. 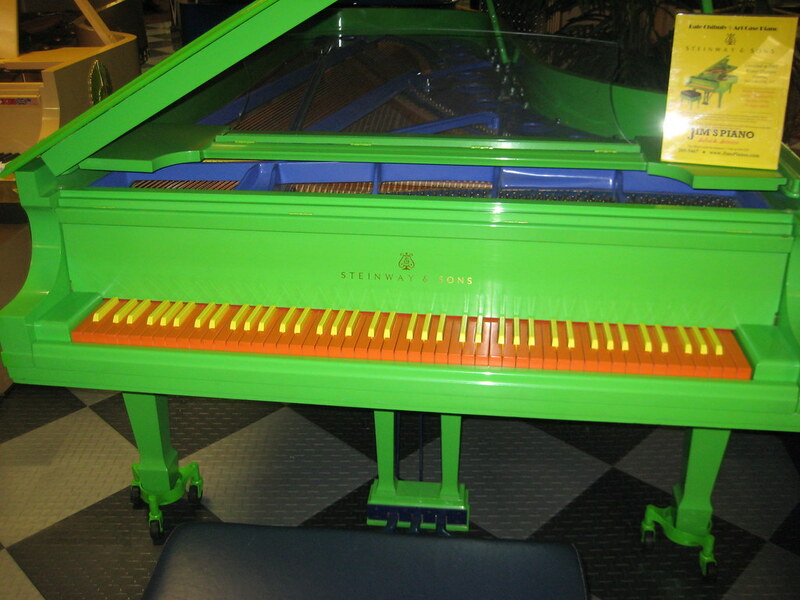 I like the gold piano.